How much is Conan O'Brien Worth? 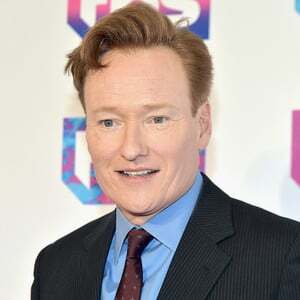 Conan O'Brien net worth and salary: Conan O'Brien is an American television host, writer, producer and comedian who has a net worth of $95 million. Conan O'Brien's annual salary is $12 million. O'Brien is currently the host of the late night show "Conan" which airs on TBS. Previously, O'Brien hosted the NBC show "Late Night with Conan O'Brien". He was also briefly the host of The Tonight Show with Conan O'Brien. That experiment ended with a very public scandal following the reinstatement of Jay Leno as host of The Tonight Show. While attending Harvard University O'Brien was a writer for the Harvard Lampoon humor magazine, and eventually became president of the Harvard Lampoon. O'Brien was a regular performer with improvisational groups, including The Groundlings. O'Brien began his show business career as a writer, most famously writing for Saturday Night Live and The Simpsons, where he was a writer and producer. O'Brien occasionally appeared as an extra in SNL sketches. O'Brien gained viewership and notoriety when NBC suggested The Tonight Show be moved a half an hour later to provide a half hour slot in order for Leno to return to late night TV after his primetime show failed. O'Brien stated the move would seriously damage what he considered to be the greatest franchise in the history of broadcasting, and left the network. O'Brien became the host of the late night show Conan which premiered on November 8, 2010 on TBS. In 2017 the show was renewed through 2022. In 2012 the series won a Primetime Emmy Award for Outstanding Creative Achievement in Interactive Media. O'Brien also won Primetime Emmy Awards in 2007 for Late Night with Conan O'Brien and in 1989 for Saturday Night Live. In 2011 he won a People's Choice Award for Favorite Talk Show Host. In 2015 he became the longest tenured of all the late night talk show hosts when David Letterman retired.